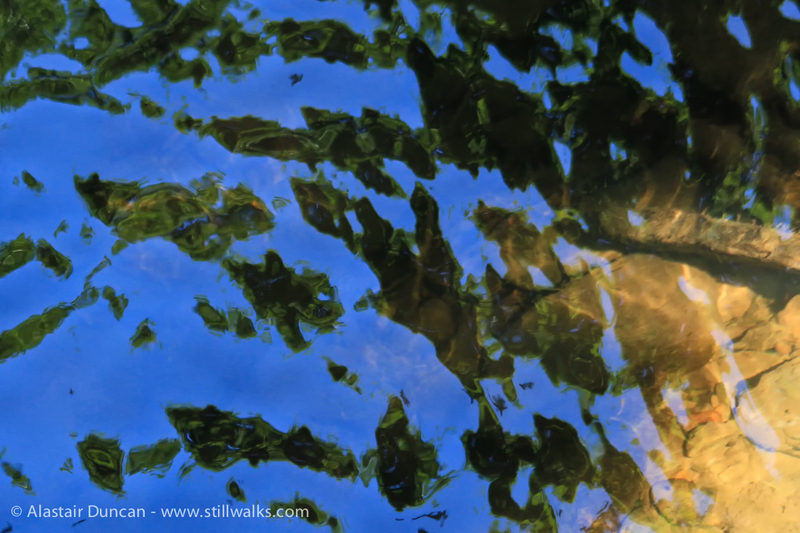 The abstract patterns of water in the River Morlais which runs through Troserch Woodland in Carmarthenshire, Wales. If I had used these images, it would have been in the second StillWalks video I made in the Troserch area. The first was through the woodland (see below) and the other was walking from the woodland, across the fields by the river and back to civilisation. Why pay for a StillWalks video? See the five good reasons below. 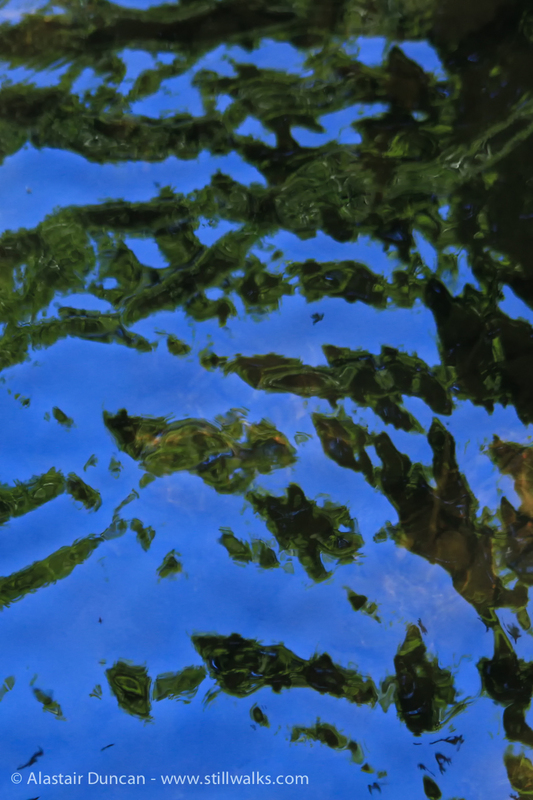 Posted in art, Photography, Video, Walks and tagged abstract, art, black, blue, Carmarthenshire, field recording, Morlais, pattern, photography, river, stillwalks, Troserch, wales, walking, walks, water.